are the only Zing embossing powders I have. 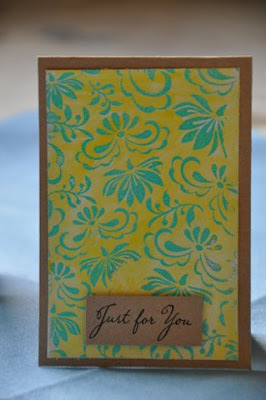 And I love playing with them alongwith Tim Holtz Distress Inks, Stains and my water colour pencils. Shall I tell you a bit about each of these cards? Ok, so the first one is pretty simple. 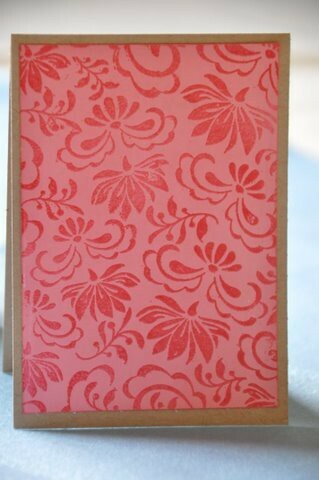 I stamped the background image on watercolour paper with Versamark clear and heat embossed with white Zing. 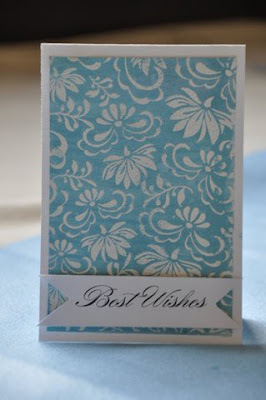 Then I ran Broken China Distress Stain to give it a light blue background. The sentiment is from Hero Arts' Say It digikit (it's a lot cheaper than buying separate sentiments stamp, I tell you). Second one is the same background stamp on watercolour paper. I used aqua Zing this time. And the background lime colour was actually done with my watercolour pencil. What you do is, you wet a painting brush with water and simply rub it on the watercolour pencil's point and then paint on the paper. As simple as that! The sentiment is from the same digikit. how do you get the stamped image so perfect like that? mine is always botched. .... beautiful cards, Neelu! Hi Neelu, thanks for your comment on my little humble blog :) thank you so much for being a follower. You do beautiful works too. Lovely cards there..